We had a great time the house was well equipped and a great location for sight seeing and walking on Provence. My husband and I stayed here for two weeks in summer 2018. We loved the authentic Provencal architecture and decorative elements. The house was not only charming, but also very functional. The kitchen was well equipped, and we cooked most of our meals at home, and ate in the pretty front courtyard. The splash pool was a life saver during the heat wave. A very comfortable and charming house--wish I could have lingered longer! Perfectly located home that exudes French charm. Beautifully decorated and a delightful home base. This property is surrounded by exquisite villages in every direction and Marine and Christophe provided wonderful guidance on the places that are incredible but not yet inundated with tourists. We felt we were living as locals in a dream house. The rooms were spacious and cool. The garden and the small terrace provided tranquil spots to rest in the shade or under the stars. The house is lovingly decorated and to walk in the door is to feel immediately at home and relaxed. We simply cannot say enough about how much we enjoyed our week here as there were astoundingly beautiful sights around every turn in the road. We will certainly come back. Within reach of lots of interesting sights and Provencal markets, with a super outdoor pool 10 mins away. Would recommend the property and area to all Francophiles! A lovely authentic french home. Clean and well kept the property is very comfortable for a number of people. We were two and did not fully use all of the amenities. The walled garden provided a cool relief from the mid-day sun. The home is warmly decorated and includes a dishwasher, and lots of art. We made day trips to all of the beaux villages because it was centrally located. A great place for hiking and bike riding. Accessible restaurants shopping and local markets. We would love to come again. thank you for taking the time to write this lovely note,it's a great reward when our guest have a great time . and thank you for leaving us such a neat place . 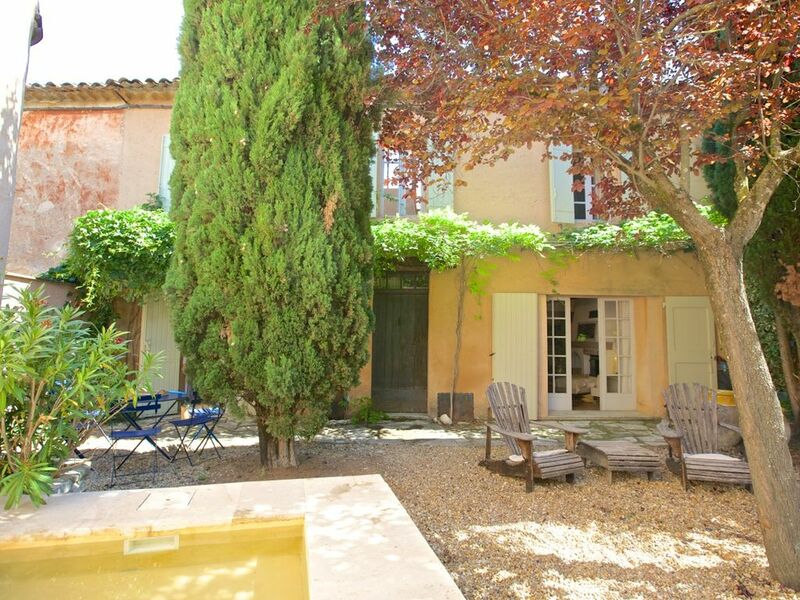 It is a very charming Provence house with antique furniture, well appointed rooms giving a cozy and quaint feeling. Loved the fireplaces in the kitchen, living room and main bedroom. Good take off place to explore the wonderful Luberon villages. Would have appreciated proper wood for the fireplaces - we had to provide our own. Note: hydro (heating and electricity) is extra.